Digital fabric design. Designed for a lounge of 35 x55 Meters in Dubai. 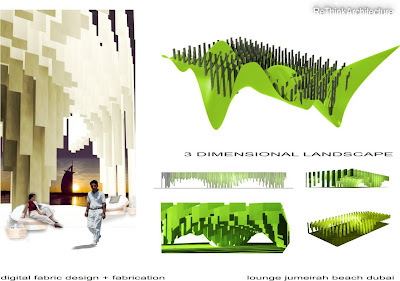 The concept bases on the inverse of a landscape.The design creates different spaces and situations with nice atmospheres. The fabrication is optimiced and all digital data prepared.